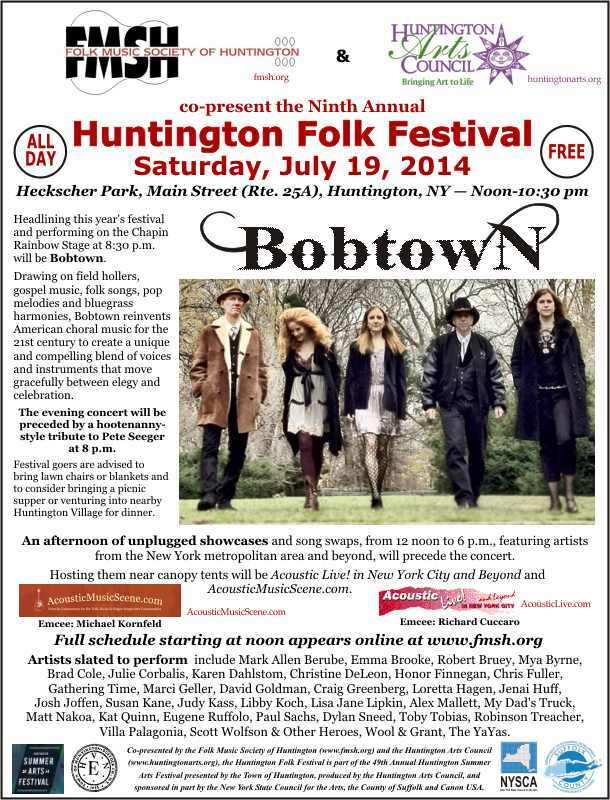 The ninth annual Huntington Folk Festival is slated for Saturday, July 19, 2014. The free event will extend from 12 noon into the late evening at Heckscher Park, Main Street (Route 25A) and Prime Avenue, in Huntington, New York. 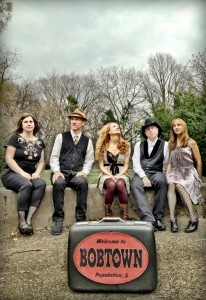 Headlining this year’s festival and performing on the Chapin Rainbow Stage at 8:30 p.m. will be Bobtown. Drawing on field hollers, gospel music, folk songs, pop melodies and bluegrass harmonies, Bobtown reinvents American choral music for the 21st century to create a unique and compelling blend of voices and instruments that move gracefully between elegy and celebration. 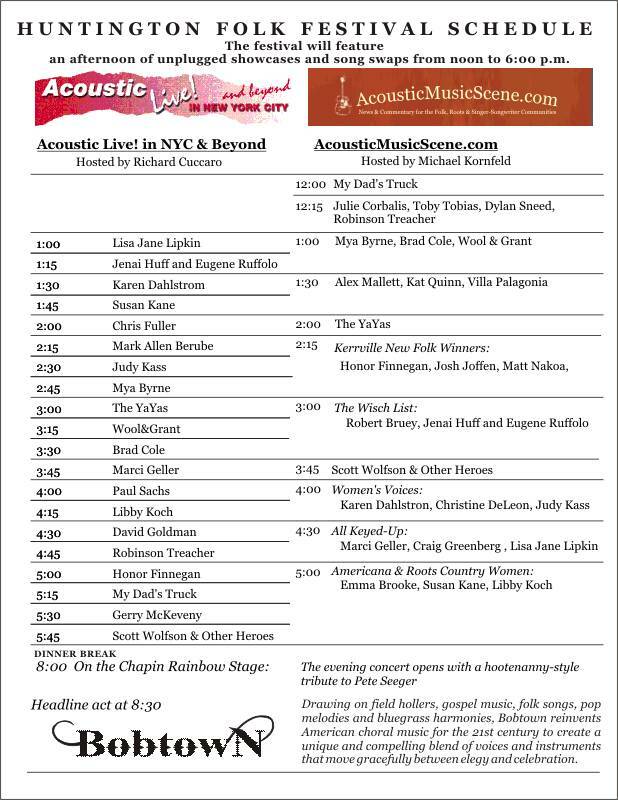 An afternoon of unplugged showcases and song swaps, from 12 noon to 6 p.m., featuring artists from the New York metropolitan area and beyond will precede the concert. Hosting them near canopy tents will be Acoustic Live! in New York City and Beyond and AcousticMusicScene.com. Co-presented by the Folk Music Society of Huntington and the Huntington Arts Council, the Huntington Folk Festival is part of the 49th Annual Huntington Summer Arts Festival presented by the Town of Huntington and produced by the Huntington Arts Council. 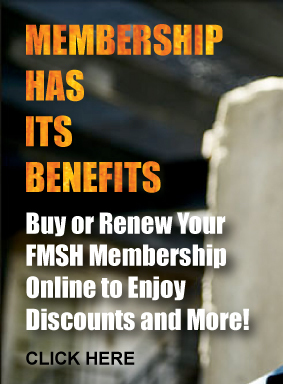 Click flyer above to download a printable copy.